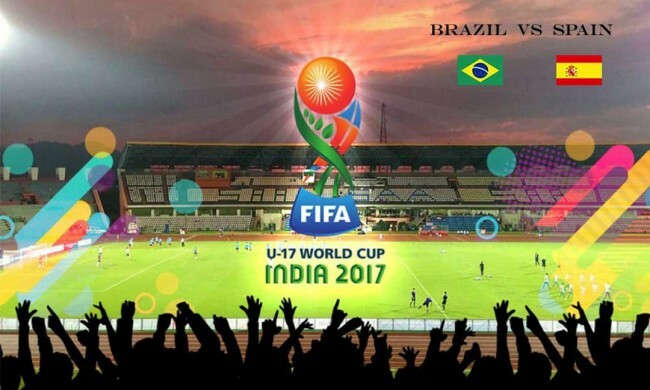 The FIFA U-17 World Cup carnival roles into Goa and Kerala as the action kicks off in Groups C and D in the tournament. In Group C Germany take on Costa Rica while Guinea meet Iran in Goa. Down south heavyweights Brazil and Spain clash and North Korea meet debutants Niger in Kochi. The opening match of Group C will witness a rematch of the FIFA World Cup 2006 opening fixture when Germany defeated Costa Rica 4-2 but it was at the senior level. However, youth tournaments always have an element of surprise and the Los Ticos have the calibre to down any opponents as they have proved in the 2017 CONCACAF U-17 Championship earlier this year. On the other hand, Germany, the runners-up of the first edition in 1985, will be looking to start their campaign with a win and make it easy for the next matches against Iran and Guinea. Whereas the presence of Fernan Faerron, Julen Cordero and Andres Gomez will make for a strong Costa Rican side as the coach Breansse Camacho has already hinted at a bright future for these players. Though they suffered a 6-1 defeat in the CONCACAF U-17 Championship final group match at the hands of Mexico, Los Ticos will be looking to upset the world champions in the first encounter. This will be the first time these two teams face each other. Jann-Fiete Arp – Germany U-17: The forward has already been in the headlines as the 17-year-old has scored many times for his national U-17 side. while he has also been in the goalscorers list for the Hamburger SV U-17 and U-19 side in the recent season. With his skilful feet, pace and control on the ball, Jann-Fiete will be the man to stop for Costa Rica's last line. Julen Cordero- Costa Rica U-17: The no. 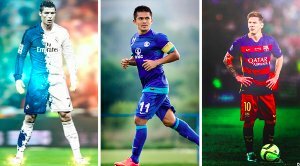 9 of the Central American team is consistent in his form and has given his best to help his side come out victorious on many occasions. Cordero is known for his clinical finishing and creating his own chances when needed. The 17-year-old will have to play an important role in the attack if Los Ticos are looking to gain at least a point from the match. Germany U-17: Arp, Abouchabaka, Cetin, Becker, Ludewig, Mai, Plogmann, Nitzl, Keitel, Jastrzembski, Boller. The match will be telecast live on Sony Ten 2 and Sony Ten 2 HD at 17:00 hours IST. 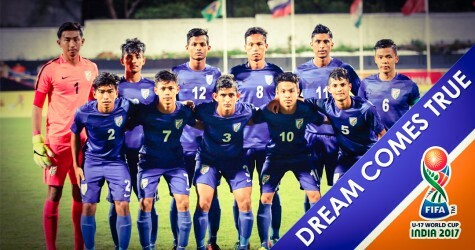 FIFA U-17 World Cup in India is certain to witness many belters, with top-class talents coming in from different parts of the world, but no group-stage clash features as many superstars as Kochi’s first game does. With Brazil and Spain locking horns with each other, one can expect a humdinger of a clash on Saturday evening. Although Flamengo has opted against releasing Vinicius Junior for the elite youth tournament, Brazil does seem to have enough flair in them to tantalize Spain’s defence, which coach Santiago Denia himself has identified as Spain’s Achilles’ heel. What Spain lack in defence, they make up for in attack, though, with Abel Ruiz and co. touted to be one of the formidable attacks in the tournament. Kochi has been known to be a vocal audience and, despite the capacity of Jawaharlal Nehru International Stadium, fondly known as Kaloor Stadium, being reduced to 29,200 from the originally-planned 41,748, one can expect the football-crazy Malayali to create a lively atmosphere, especially with two super heavyweights all set to play some of the most attractive football the country will ever witness. The absence of the £40m future Real Madrid star may actually prove a boon in disguise as they’ll now be under much less scrutiny. Additionally, Paulinho and Brenner Souza da Silva will now be hungry to prove that Brazil’s lifting the South American Under-17 Football Championship trophy earlier this year wasn’t completely down to the Flamengo youngster. Coach Carlos Amadeu has no injury concerns and, on the back of training sessions at Government Sports Academy in Kochi, his personnel ought to be conditioned to the Kochi atmosphere. Spain, on the other hand, had dealt a serious blow days before the start of the tournament when news broke that first-team regular Alejandro Orallana would miss the tournament. The Spain coach, however, is unperturbed, as he claims that he boasts players at his disposal to replace him in the team. 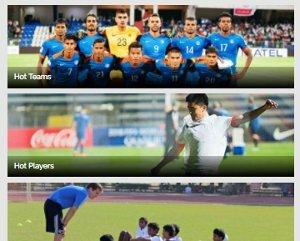 Despite the sides’ success in youth tournaments, the U-17 sides haven’t crossed paths before. With the Saturday’s result set to play a major role in deciding who tops Group D, either side will look to make their first-ever meeting one to remember. Abel Ruiz –Spain U-17: Spain do have nine players from La Masia and La Fabrica, but none looks more spectacular than Barcelona’s Abel Ruiz. Having already played – and scored – for Barcelona B, he has made himself a player scouts should keep tabs on through the course of the tournament. Already Spain U-17’s top-scorer, he will look to add more goals to his tally. Paulinho – Brazil U-17: Paulinho already looks the next £40 million star in the making by having already announced himself in Campeonato Brasileiro Serie A with Vasco da Gama by scoring two goals in eight appearances. His experience with Brazil U-15 and Brazil U-17 ought to suffice to give him the confidence against some of the best defences in his age group. 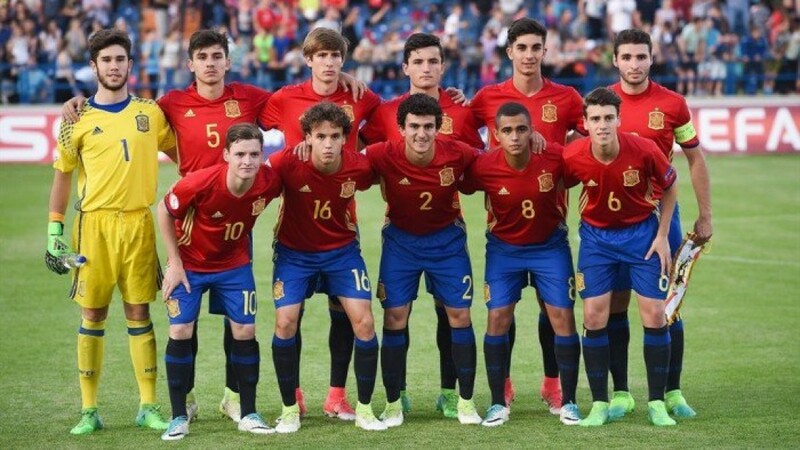 Spain U-17: Fernandez; Jaume, Guillamon, Chust, Miranda; Aiman, Blanco, Beitia; Torres, Gomez, Ruiz. Brazil U-17: Brazao; Wesley, Eduardo, Halter, Weverson; Bobsin, Alanzinho, Marcos Antonio; Paulinho, Brenner, Lincoln. The match will be telecast live on Sony ESPN and Sony ESPN HD at 17:00 hours IST. The match will be telecast live on Sony Ten 2 and Sony Ten 2 HD at 20:00 hours IST. The match will be telecast live on Sony ESPN and Sony ESPN HD at 20:00 hours IST.